These Spring Cleaning Tips and Tricks involve the whole family! 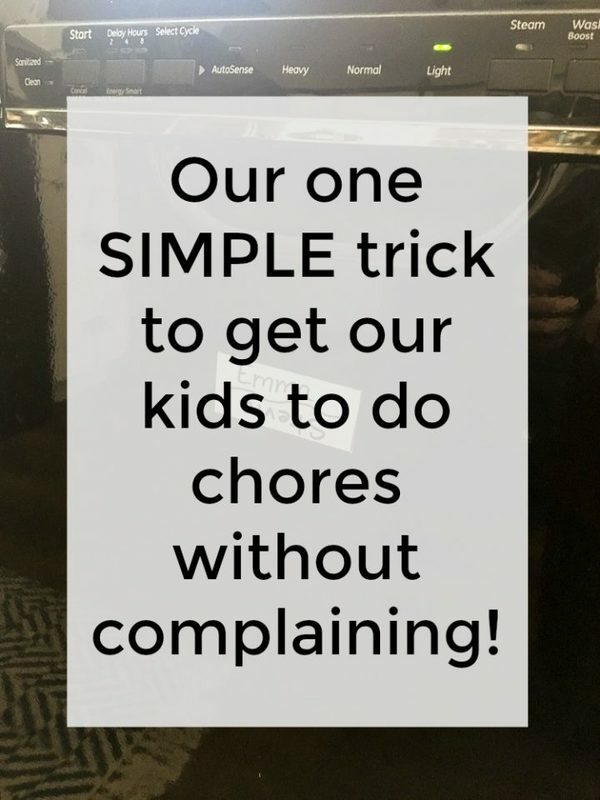 Get your kids involved with the chores and make it fun while you’re at it! My kids are 14 and 16 years old, so I have a few years under my belt at getting them involved with chores and general house maintenance. In our house, it’s all just part of being a family. 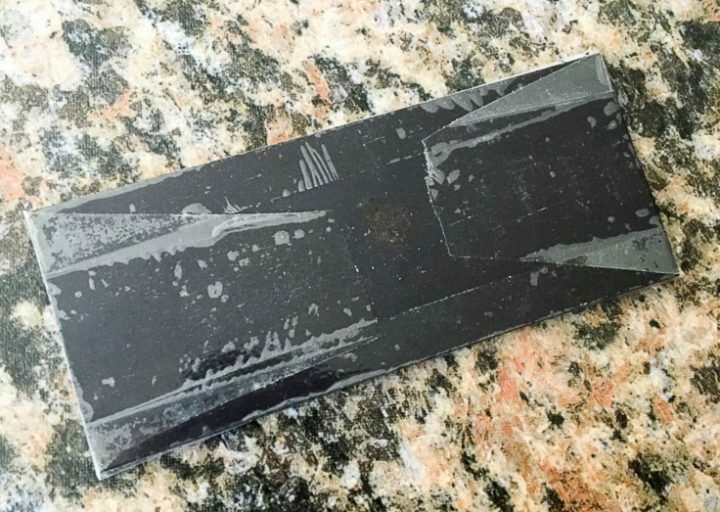 One of the ways we make it non-negotiable is with little tricks like our dishwasher magnet. Guys, this is the simplest “craft” I will ever show you. I made it when my kids were probably 3 and 5 and it is the exact same one we still use. I took a promotional magnet we had gotten in the mail and cut it down a little. 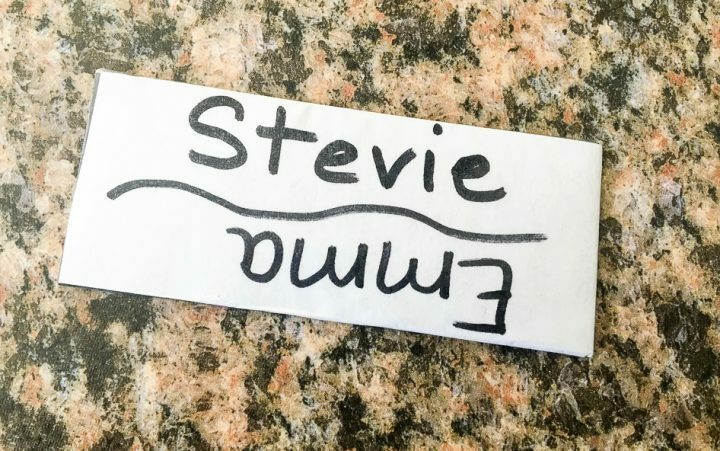 Then wrote my kids names on a piece of paper and used some clear packing tape to cover it. That’s it. This simple, little free magnet has been such a blessing to our family! It goes right on the front of the dishwasher, and whosever name is on top is the person in charge of emptying it once it’s clean. 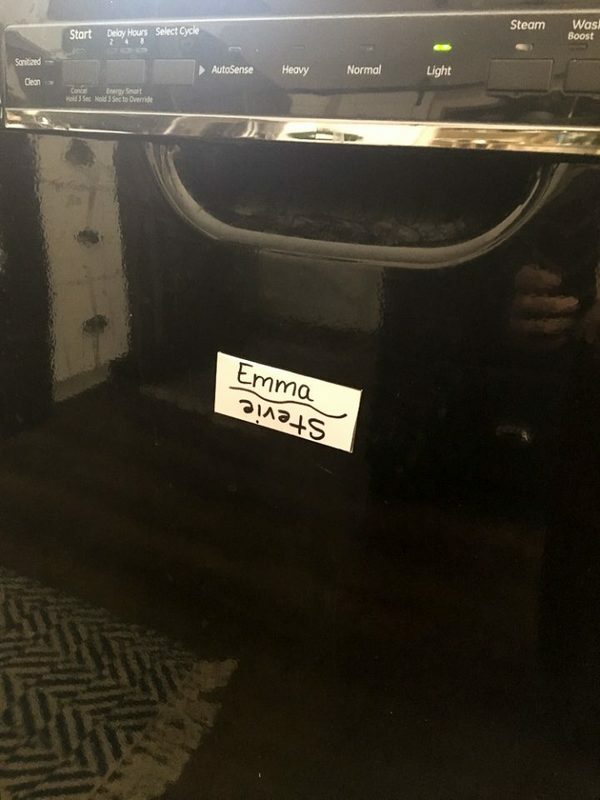 Once it’s emptied, they have to flip the magnet so their sibling’s name is on top. If they forget to flip it, the responsibility is on them to empty it the next time too. It’s great motivation for making sure they remember to flip it once they’re done! The best part, though, is that it takes the responsibility of our shoulders as the parents. There is nothing to grumble about. No bickering between siblings about whose turn it is. The answer is clear as day. If your name is on top, then you are in charge. If you’re upset that you have to do it twice in a row, then the only person you’re allowed to be upset with is yourself for forgetting to flip it! This little system has worked SO well, that we implemented it in other areas too. The kitchen trash can now has a magnet that lets them know whose turn it is to take out a full trash can. We have a magnet on the side of the fridge that tells them whose turn it is to dust and to vacuum. And when Spring rolls around and we do a deep-cleaning, we use this system as well for special chores. All 4 of us pitch in, because it takes a family to make a mess so it takes a family to help clean it up too! We’ve found that the way to make cleaning go the fastest is to work on rooms together. Our kitchen is open to the whole first floor, so someone can vacuum while someone else is dusting and on and on. We prefer to buckle down and get it all done in one shot rather than dragging it out over days, so an easy dinner is a must on these days! It’s also a great motivator for my little clan who love to eat! I can pop an On-Cor entrée into the oven, set the timer and I swear they start cleaning faster because they’re spurred on by the delicious smells coming from the kitchen! The added benefit of working on the same rooms at the same time, is that we get to spend time together. It doesn’t matter if we’re boating across a lake, hitting a new restaurant or cleaning our house… spending time together is always a bonus! So while I’m taking a quick 5 minutes to get dinner in the oven, I can ask my daughter to sweep the kitchen floor while she tells me about her day. My son can clean the doors of the appliances while I quiz him on an upcoming test. Chores don’t have to be a total drag. You can engage each other and have fun while you do it! And know that when you’re done, you’ll get to sit down together and enjoy a delicious meal. Life is busy enough with school, sports and household maintenance. Don’t make dinner demanding too! Let On-Cor take care of the prep work, so that you can take care of everything else in your life! 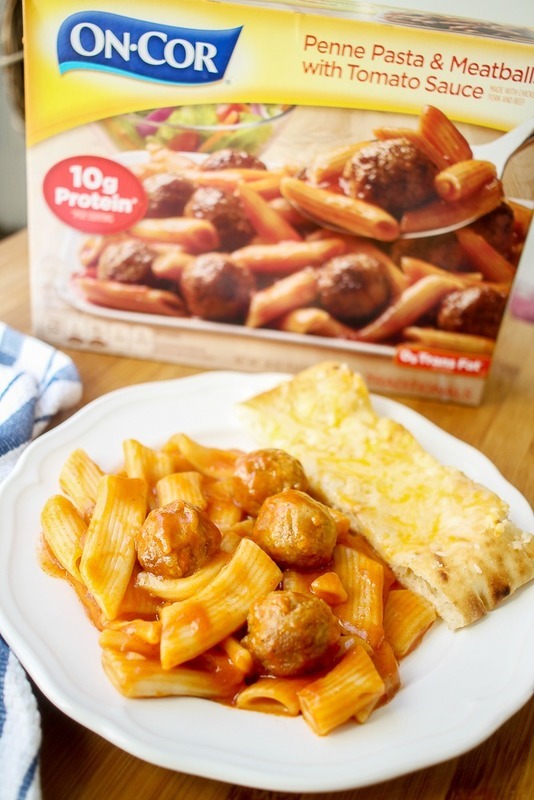 I keep our freezer stocked with On-Cor entrées exactly for days like this! I made some quick cheese garlic sticks and I’ll throw in a veggie and dinner is served. And well-deserved after all the hard work everyone has done! There’s nothing quite like sitting down to a meal that serves all of us and that everyone loves! 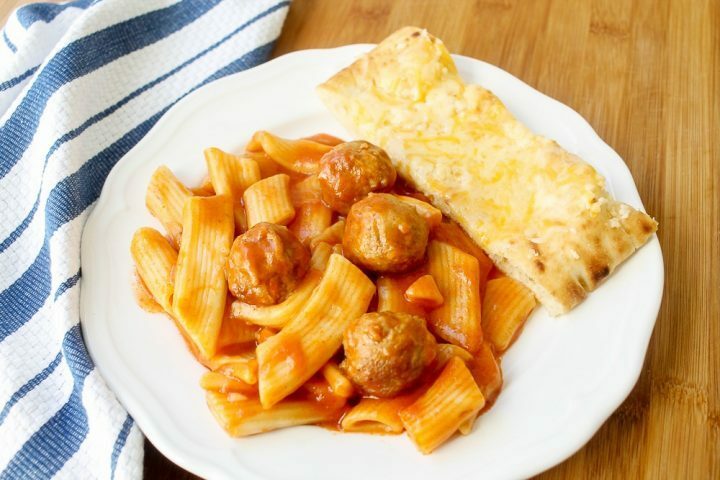 These breadsticks match the ease and deliciousness of the Penne Pasta & Meatballs with Tomato Sauce entrée. I use a prepared pizza crust, melt some butter with minced garlic and add some cheese! That’s it! After a busy day of cleaning, it’s a definite bonus that this entrée now has 25% more meat in it, because we’ll be hungry! 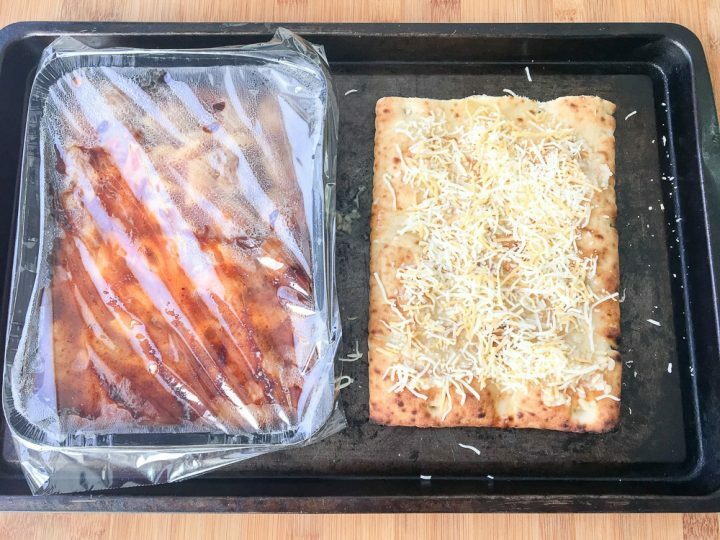 Be sure to use a baking sheet for your entrée that’s large enough for you to put the breadsticks on it for the last 5-7 minutes. After all, you just got done with a day of Spring cleaning. The last thing you need is extra dishes! What chores do you dread? How do you get your kids involved in a way that eliminates bickering and grumbling? You should give the magnet trick a try! If you have more than 2 kids, just make them each an individual magnet with their name on it. The one on top is up next and moves their name to the bottom of the list once they’re done! It’s an easy system and one that has worked for our family for over a decade now! Don’t over-complicate your Spring cleaning, and don’t over-complicate your dinner! No frills, no fancy, just really good food and now a really clean home! 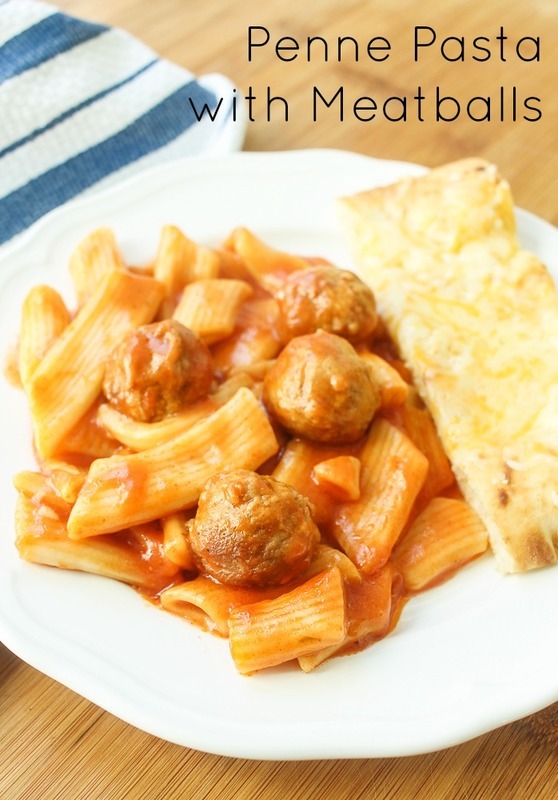 On-Cor entrées are perfect for moms like me who are looking for convenient, quality meals that answer the age-old question, “Mooom, what’s for dinner?”. For your next family meal, head to the freezer aisle of Weis or check out the store locator at On-Cor to pick up one of On-Cor’s entrées. For additional information about the entrée’s, visit On-Cor and On-Cor on Facebook.